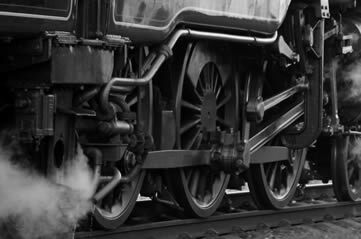 Steam into history at the Stephenson Railway Museum. North Tyneside was once home to railway pioneers George and Robert Stephenson - and now North Shields is home to Stephenson Railway Museum to celebrate their achievements. And what better way to do that then on a steam train: on Sundays, the museum runs four-mile trips on a former coal-carrying railway line. Jump aboard and ride through history. ATTDT is your unique local guide to things to do, see, visit and explore in Tynemouth. From arts and culture to events and entertainment, we've got today in Tynemouth covered. What's on? We know. Welcome to the Tynemouth edition of ATTDT: your Tynemouth culture attendant, and the ultimate independent curated guide to the very best of what to do today in Tynemouth. Whether it's budget or bespoke, from local tourist attractions to hidden gems, cultural events and even adventurous things to do, if you're in and around Tynemouth, whether you're visiting or a local, ATTDT is here to help. Not in Tynemouth? Click on the map to find things to do somewhere else.